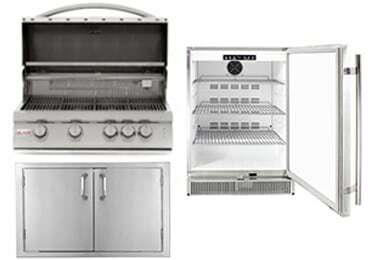 The most popular item in most outdoor kitchens is the built in gas grill. 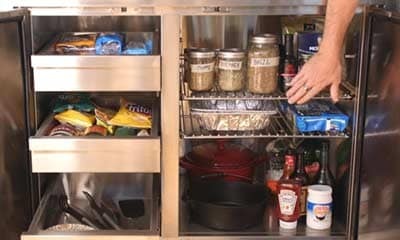 A basic set-up also includes access doors, a side burner, compact refrigerator, and trash bin. Don't limit yourself to just a gas grill. 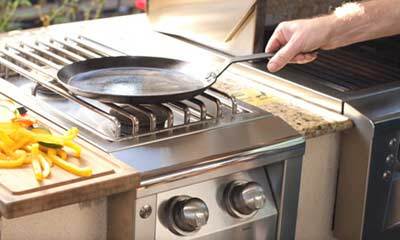 A flat top griddle, pizza oven, charcoal grill, smoker, kamado, or power burner will add cooking versatility to your outdoor kitchen. 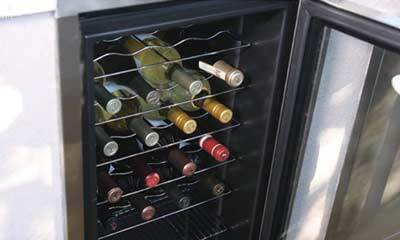 Outdoor ice makers, wine coolers, kegerators, and beverage centers are great additions to your outdoor kitchen, especially if you entertain. You and your guests will love having ice cold beverages, including draft beer, for whenever the mood strikes. Keep everything you need for grilling conveniently stored in your outdoor kitchen with storage components, so it's there the next time you grill. Storage components also give you easy access to your gas lines and plumbing. 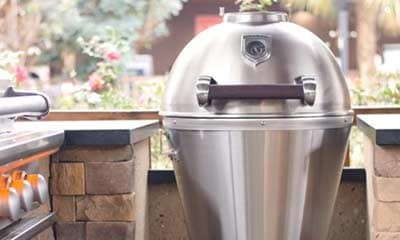 Safety is the most important thing to consider for your outdoor kitchen. Insulated jackets are a must when installing cooking appliances into a combustible island, and vent panels are required for proper gas venting. 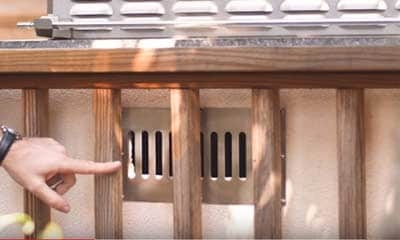 If installing your island under a covered patio with limited airflow, you should definitely consider a vent hood. 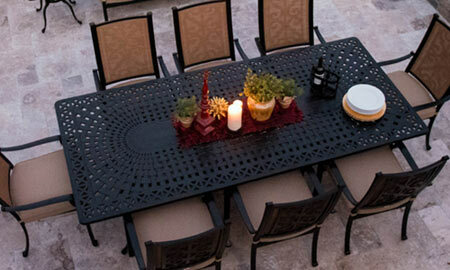 Complete your outdoor kitchen with a patio dining set and outdoor seating area. If your layout includes a bar height counter you’ll want outdoor bar stools too. To keep warm during cool evenings consider a fire pit or patio heater. Let us help plan your outdoor kitchen. We're here to help, from inspiration, to planning, to purchase. Our Featured Spaces highlight our customers and the journey in creating their own Outdoor Oasis. Want to add an outdoor kitchen, and thinking about the DIY approach? 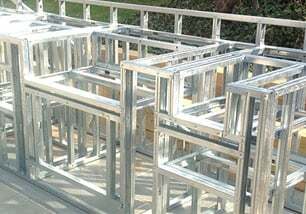 Our experts show you just what you need to do it yourself! Here are some helpful tips to consider before starting an outdoor kitchen project. We have compiled a list of common mistakes to avoid when building your outdoor kitchen. What Do I Need In My Outdoor Kitchen? Check out our helpful guide to assist you in what you need to get started. 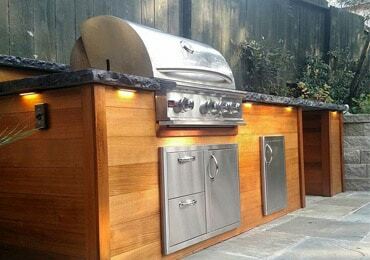 Our talented outdoor kitchen design consultants can help you design, plan, and envision your very own outdoor kitchen. We've asked our BBQ Expert, Chef Tony, to test and review our most popular gas grills. Great News! We have teamed up with Bread to provide easy and affordable financing.